If you're embarking on a weekend of muddy wellies, your all time favourite music, and dancing til 3am in a field of people, then you'll need the perfect piece of headwear. Obvs. I'm going to address the festival cliche up front and say that flower crowns - as much as we love them - are a bit, well, 'done'. So, it's time to mix things up this year with a new take on the beloved crown (because if you can't be a princess at a festival, where can you?) and try something with a bit more glam. By 'glam' I mean sequins, glitter and precious metals; really bring out your inner disco ball! 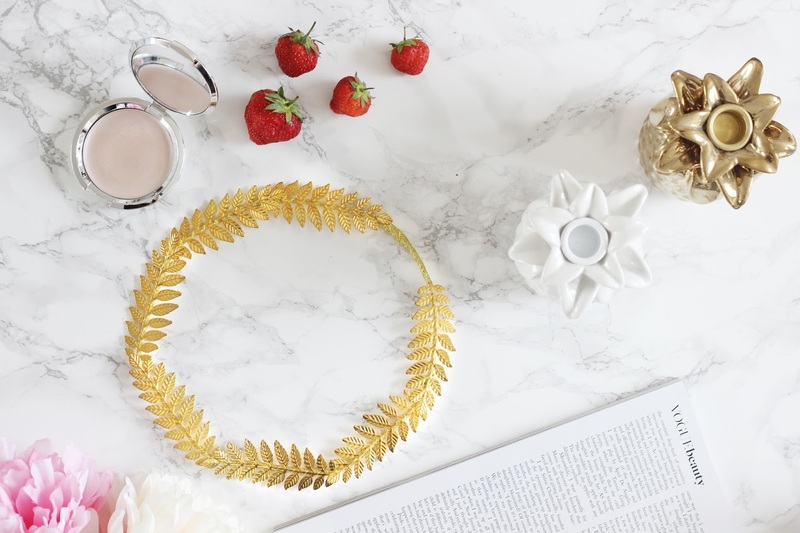 For the ultimate festival queen, this Johnny Loves Rosie gold leaf headband* is the perfect accessory and oozes 'Hail Caesar!' cool. Here, I'm wearing it with the silhouette of the season: the Bardot - but this would easily pair up with denim cut offs and a crochet halter, or a vintage maxi. Aside from the aesthetic, the thing I love most about this headpiece is that it stays in place without digging into your head (the last thing you need whilst you're enjoying your weekend is a banging headache). 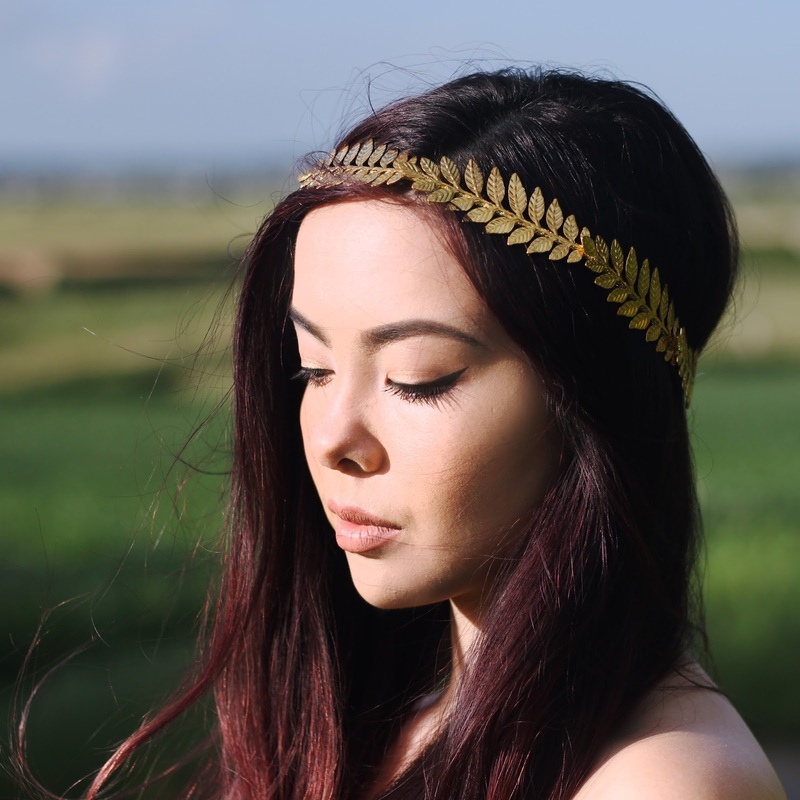 It features a stretch-style band, decorated with shiny, gold-plated, detailed metal leaves, ideal to fit over your chosen festival hairstyle. If this isn't your style, browse Johnny Loves Rosie's gorgeous new range of accessories, including delicate necklaces, punky chokers and minimalist hair pieces.